Our second accomplishment is the aquisition of the Lovango Cay parcel - more than an acre on the very easternmost tip of Lovango. This lovely piece of land has been set aside for our community for public enjoyment, both scenic and otherwise, by current and future generations, thanks to this generous donation and the efforts of all involved with the SJLC. 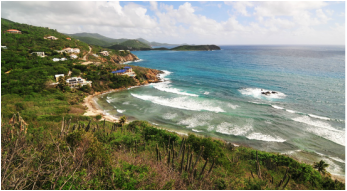 You love the warm breezes and the aroma of tropical blooms, the sounds of birds, the waves on a pebble beach that are the distinctive charms of our island, St John. We do too, and we believe in celebrating and protecting them for everybody – forever. ​The future of preservation begins with you and you can make a difference. We're committed to the protection of natural and historic land and resources, allowing free public and recreational access by the people of St John, in perpetuity. We implement land conservation through acquisition of property using donations from landowners and the public, and also through conservation agreements with landowners, providing for permanent land preservation. Raf grew up on and around St. John (East End and Coral Bay as well as Lovango Cay), attended the Guy H. Benjamin and Julius E. Sprauve schools on STJ (and All Saints on STT), and later Dartmouth College and Harvard Law School. After working as an environmental lawyer in San Diego for 12 years, he moved back full time to St. John in 2009 with his wife Thia and two daughters, where he practices real estate / land use and environmental law. In 2014, he moved with his family to Florida, and now runs his St. John law practice from there, and commutes back for a week each month and during the summer to meet with clients and continue his island conservation efforts. 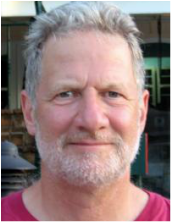 He is a founding member of the SJLC board. 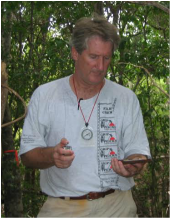 Gary holds a doctorate in Environmental Science from the University of Wisconsin-Madison (1993) with a specialty in Restoration Ecology, having conducted his dissertation research on St. John dry forests. His Master’s and Bachelor’s degrees are in Botany from U. Montana and the U. of Maryland. Gary has coordinated rare plant conservation in Hawai’i, and he taught ten courses in the biological sciences at the U. of the Virgin Islands over a span of about nine years. He is presently creating a native plant nursery business based in St. John with the intention of protecting native forests by helping islanders better understand its components. As a plant ecologist, Gary advises the SJLC on the conservation value of its land interests. Originally from Long Island, NY, Thia received her BFA in Arts Management from Long Island University, and her MA in Expressive Arts Therapies from Lesley College in Cambridge, MA. Thia fell in love with the USVI as a 15 year-old on her first visit. She has spent a total of 10 years living on all three islands, but has made St. John her home for 7 years. 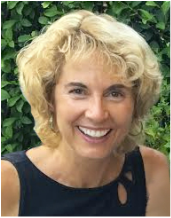 Her husband, Raf, and her two daughters own a home in Coral Bay and lived there full time for 5 years from 2009 - 2014, where she practiced as a music and expressive arts therapist, and ran her vacation-villa business, Parrotfish Villas, LLC. A long time proponent of environmental conservation, Thia is credited with initiating the effort to save Haulover from development. In her role as secretary, she is in charge of designing and developing the SJLC website, and helps with social media and public relations. Thia lives with her husband Raf and their two daughters in Florida, works as business consultant to Raf's law firm, Morrisette & Muilenburg, LLP, and enjoys annual visits to their second home in Coral Bay, St. John. 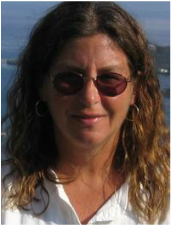 Originally from Cleveland, Ohio, Mary began visiting St. John with her family in 1994. She received her BA in Environmental Studies and French from Bowdoin College, and MBA with focus on sustainable business from the Middlebury Institute of International Studies at Monterey. She lives in Coral Bay. 9 years ago, my husband Jay and I left Pennsylvania to realize our dream of living on this gem of an island. Our property has been a work in progress. Jay says I will be cooking in my kitchen by the end of this year, God willing. I majored in science and have enjoyed a long career wearing many hats. From breading shrimp in the kitchen of my parents restaurant, to selling mutual funds, to color draping women for fashion design, to co-owning a formal attire shop and my last stint as a pharmaceutical representative. Currently I devote my time to honeybee keeping and educating, developing my organic farm in Dominica, hiking, swimming, cooking, and care taking several East End properties. I am a Girl Scout and environmentalist. In the states I was a Girl Scout leader, Sunday school teacher and along with Jay, lead our church’s Youth Group. I possess the enthusiasm, creativity and stick-to-it-ness to achieve a goal. I am excited and honored to work alongside George and Lauren and be a part of the St. John Land Conservancy. 40 years ago, I began coming to St John annually with my parents, who had a condo on St. Thomas, long before there was a K Mart. When I was 15 a friend of mine and I rented a Sunfish at Red Hook for $3.00 and sailed it to Salomon Beach and back, my hands bloody and blistered. We hiked into the bush, not knowing where we were going, among bird calls and Gongolos, to the smiling faces who greeted us in a dusty and peaceful town - I was hooked. When life permitted, I continued the tradition with my own family, and now live part-time in St Quacco with my wonderful husband, George. I started working with the Friends of the National Park volunteer trail crew from its inception and was a docent at Annaberg. I am a gardener, a naturalist, a hiker and the luckiest woman on Earth. Born, relatively happy childhood, school, more school, work, work, work, ..., work, retire. End of bio. But, as we all know, her many charms are endangered by relentless over-development. How long can St. John remain St. John against that pressure? Is her decline as inevitable as it seems? I don't know. But I can not accept this slow mutation into non-uniqueness. So I hope to add, "... and tried to protect St. John along the way", to the end of my bio. Actually, chickens are a mixed blessing. Hens are great and baby chicks too, of course. But when you're trying to sleep, roosters can be a real pain in the ... island, let's say..
A special thank you to Steve Simonson for donating his great photography for this site!